Artistic Education is an area that focuses on teaching various art forms (Visual arts, Music, Theater, Dance, Photography, etc.) and also helps develop skills, abilities and habits in such areas. 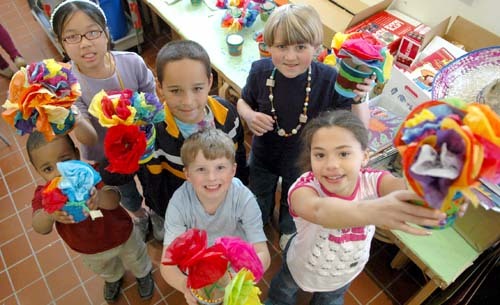 However, the arts do not get a lot of attention in Education and they are not usually included in school curricula. 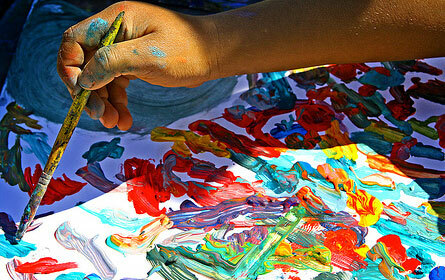 Art education in schools is very minor and children are less involved in the culture of the society in which they live. There is a movement called Education through Art by Herbert Read. It goes beyond artistic knowledge, which is also very important in art education, since its purpose is to help us develop our hidden talents. Those talents with which we are born, but are not yet defined, through mediums within the Arts as a form of expression. "The purpose of art in education, should be identical to the purpose of education itself"
Art allows us to exploit our creativity and imagination, and express our feelings and emotions. Through an artistic work, we can convey a message of utmost importance to others. Art is a great promoter of moral education as it provides us with the necessary tools for our comprehensive training. It allows us to know other communities and allows us to explore and understand a variety of cultures. I also think it is a very important means of knowing ourselves because in the arts, for example, we like to capture something that identifies us. Through them, we can say something we that we cannot say with words but that is perfectly explained through an artistic design. Creative Thinking: Creativity is defined as the power to create. Creative thinking is the ability of the person to generate new ideas, original forms of action. Creativity is one of the most important aspects in the arts, because the job of an artist is to create. The artist is a creative being and he will always find a way to creatively express through his works, of the artistic expression that he dominates. Critical Thinking: Critique is our way of expressing ourselves about a situation, it is our opinion or judgment about something, either in a positive or negative way (it is the thought of many that criticism is negative; however, there are positive or constructive critiques). Therefore Critical Thinking refers to the ability of human beings to act, to think, to argue and to generate their own conclusions. Critical Thinking is present largely in art, because sometimes we are asked to reflect on the meaning of a specific work of an artist and we must use that ability to show our own conception from this work. Every artist, regardless of their artistic area, should develop their critical thinking allowing you to appreciate the various expressions of art, know them and to give an opinion on them. Troubleshooting: A person who has developed this ability can always find alternatives, answers or solutions to the various situations that are presented, many of them are conflicts. Decision Making: Every person and every artist must develop that ability that lets you choose among several alternatives, it considers the most appropriate, according to the risks and implications of each option. Sometimes it's easy to make a decision but other times it is not. To choose is important. To make use of our ability to analyze, to study each option or alternative we have, and determine which is best. One that will benefit us and poses no risk to people with whom we work (if the person is in a group and is a leader, they must make a decision) or for ourselves. And How are these related leadership and the arts? The different potentials mentioned above are also present in leadership. There are many types of leaders, but one in particular can describe to the artist and what it does in society: The Transformation Leader. You can consider an artist to be this way, as they can generate a Social and Cultural transformation in the Society where they live when working on alternatives and solutions (through community projects) for current problems, approached from their artistic perspective. An artist and a leader uses his ethics, his ability to deal with people, the potentialities described above, and their willingness, to create a common space with people where members of the Society are motivated to participate in the process of social and cultural change, enjoying all that the artist offers. Today there are very few people who develop creative talent, possibly due to the lack of importance given to the arts in schools. It is typical that in pre-school and primary school, children do all kinds of crafts, which of course helps them tp develop motor skills and allows them to learn about the various, essential elements (lines, shapes, colors, etc.) and develop some degree of sensitivity to the arts. However, as children grow, all these activities disappear to make way for theory, leaving aside the practical. Therefore, the creative capacity of the child is diminished and when it is not reinforced, the teenager is then unable to use that capability in its entirety. Therefore it is important that school curriculum recognizes the importance of the arts, because art is essential in the process of developing people from childhood to adulthood. In fact, there is a thesis by Plato, mentioned by Herbert Read (Author of the book "Education through Art), which reads: Art should be the basis of education. From a very young age, children desire to learn about the world through their senses and there comes a stage of interpretative and imitative knowledge. As they grow, they are looking for ways to express themselves and communicate with others. They do this by using elements of artistic form, projecting experiences to express their social, family, and school relationships. Children begin to use their own symbols as a means to interpret the world according to them. They use their imagination and creativity to generate fantasies transformed into artistic elements as a symbolic demonstration of the knowledge they acquire, showing their development in the creative process. Some teachers do not feel interest in promoting their skills, and won't help them develop their hidden potential, as they focus more on the theoretical and not in the practical. This causes children to develop more withdrawn and less expressive language. Not able to express themselves freely, they may become shy and lose their creativity. They may become people who makes schemes, which have no proposals or initiatives, losing their enthusiasm to study. That is why today there is much disinterest in the know and that is a serious problem in education. Children do not have the opportunity to give their own views about their learning and therefore cannot build their own knowledge. It is said that while the political and economic problems of a society may be resolved, the social, cultural and educational problems will not be solved as they need to be treated differently during the educational process. I recommend reading Herbert Read's works related to education, especially Education through Art, as well as any other material about Art and Education that you can find. Allow yourself to see education from a different perspective and be aware of the critical situation of education today. Lovely article! Sounds more of a life consultation for my parents! !I'm not a bit supported in art cauz my society thinks its a profession without security of finances ...and they prefer jobs of a doctor o an engineer!Come on humans!!!!! !There's a world beyond these professions tooo!!!!!!! well thanx a lot for putting this up!!!! True, there are many people who think that and prefer to pursue that which gives more money, according to their perception. Today many parents want their children to be lawyers, doctors or engineers because that is the current stereotype of successful people. Luckily my parents not think of that way, they are aware of my artistic talent and allowed me to study at a university of arts, knowing that I like the art. The artists are also successful people in their own way and the art gives to world many important things . True, children do not give up their creativity and imagination, especially if you allow them to continue exploiting those capabilities . "This is gonna be an easy class." To me, art means much more than putting pencil to paper and whipping up a Mona Lisa. It's much more than an easy A (which isn't true at all). It's about one's ability to express oneself. It's about vision, and how we choose to share our vision with the world. Because if we didn't have visionaries, then deviantART would be nothing more than a scrapped idea. In my school, I had a art class until the second year. It was, above all, of the History of Traditional Arts. In some schools it is not given enough importance to art and that's why people think it is an easy option or you will not get enough money with him. For us there are more important things than money . People also think that art is make crafts as clay figures (or other molding material), drawing in paper, cut out colored paper and pictures from magazines to make collages, things we did as children. And that's only part of what is art, it goes beyond the traditional arts. Also involves other art forms such as music, dance, theater, audiovisual media (as the Photography), etc. A wide range of artistic fields, where the artist unfolds differently than others, according to their world view, as you said. I've noticed these things because I am studying at a university dedicated to the arts . I have had the opportunity to attend to classes of the that I did not know his existence, proving that art is much more complex than it appears. You want say Art Therapy . I have read a bit about it and you're right, art is excellent as therapy. You can also greatly help children to improve their capacity of expression and communication (if they are too shy), overcome the difficulties that they have and use art in a creative and fun way. 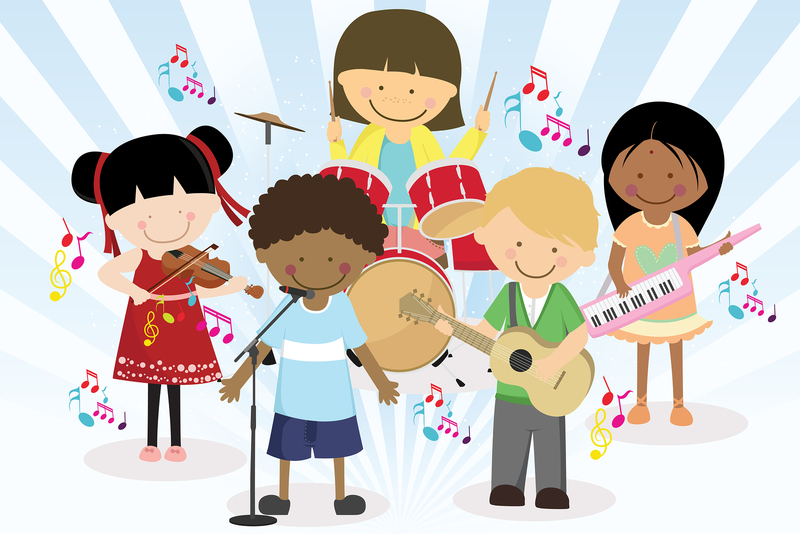 In Art Therapy to often involves working with traditional art and there is an alternative called "musical therapy". I know not much about her, I found it while researching for an exhibition at the university. Over time, drawing has greatly evolved through the many talented artists such as Leonardo Da Vinci, and Michelangelo among others. These men devoted themselves to the study of drawing and practiced it by introducing new concepts such as perspective, and many other elements. Groups are those spaces on DeviantArt that allow us to meet and interact with other users, through various means such as Designing, Contests, and Special activities where everyone can freely participate, expose their art in the group gallery, share resources and tutorials of artistic help, other topics, and more! What makes a group a successful? Very simple: It has a Administrative Team whose relations are based on Core Values ​​of DA (I think this can be applied to all groups on DA, not just to the Community Relations team): Community, Respect, Excellence, Artists, Trust and Empowerment. The groups and their administrators are always there for the community and vice versa. Your account is not protected by a good password.You revealed your personal data, and/or any other data related to the access of your account. Because of the many traps that hackers place in various parts of the site in our reach, seeking to steal the login details to our account. But do not panic. I will show you the many ways to avoid this, and protect yourself from hackers and other unwanted malware. If you are interested in this information, I invite you to read my instructions below. This is the recommended action in these cases. The block tool prevents the person from contacting you in anyway on DeviantART (comments and notes). However the person can still see your activity and publications given that it is a public site. They will be removed from your watch list and you will be removed from theirs. They can no longer add you to their watchlist once you have added them to your blocklist. DeviantArt is a website that hosts millions of works published with broad search criteria, covering hundreds and thousands of results... Which can be very overwhelming! It is never easy to find what you're looking for and it is common to become lost when navigating among the content, unless you know the best way to perform a good search. This guide will show you what the most used and recommended criteria are to look for specific content in DeviantArt's search engine. To find out, I invite you to continue reading ^^. Poll para No SubscritosUn saludo a todos los usuarios que pasen por aquí! En realidad no se si alguien ya lo habrá hecho, pero pensé que nosotros, los no subscritos, también podriamos tener un espacio Poll o Encuesta para que demás usuarios, amigos y conocidos en DeviantArt, voten a criterio propio acerca de diferentes temáticas y propuestas que podemos generar desde nuestro Journal en nuestro perfil. Hacerlo es muy sencillo, yo fabriqué el mio y he querido compartirlo con todos ustedes, así que a continuación dejo el formato de polls o encuestas para que lo puedan copiar, pegar en un nuevo Journal, y modificarlo como mejor les parezca. < b >1.< /b > Aquí va la Primer Respuesta u Opción para Escoger. < b >2.< /b > Aquí va la Segunda Respuesta u Opción para Escoger. < b >3.< /b > Aquí va la Tercer Respuesta u Opción para Escoger. 3-D (three dimensions or three-dimensional) art refers to an object/figure in an environment, as well as the seemingly real appearance of a form that is drawn and/or painted to create a sense of real-life illusion within a 2-Dimensional (2-D) space. There are three-phases in the creation process of 3-D artwork: tessellation , geometry , and rendering. First, models are created of individual objects using linked points that are made into a number of individual polygons. The second phase is when the polygons are transformed and lighting effects are applied. In the final phase, the transformed images are rendered into objects with very fine detail. The Wedding day(Update) Image may have been stolen by - melkejal. The original artist, Mohammadreza Momeni is on 500px. Thanks for the heads up, Jinnger. Busted? Make up an excuse!BUSTED!